Disclosure: I received a complementary sample in exchange for my honest review. Any and all opinions are honest, my own and not swayed in any way. 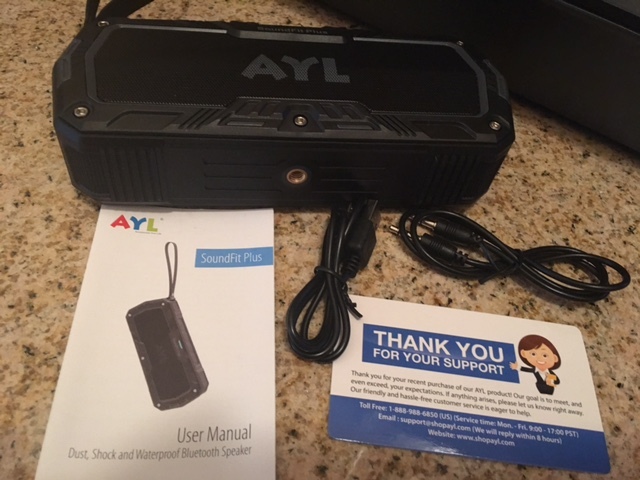 I recently received the AYL SoundFit Plus Waterproof Bluetooth Portable Speaker for review purposes. With it being Summer, my daughter and I spend a lot of time outside or at the pool. Her and I both love listening to music but the speakers on a cell phone don't really allow the volume to go very high in order for more than one person to hear the music well. Plus my cell phone isn't waterproof. With the AYL SoundFit Plus, you have a completely portable bluetooth speaker that connects to your cell phone and allows you to listen to music from your phone through the speaker. 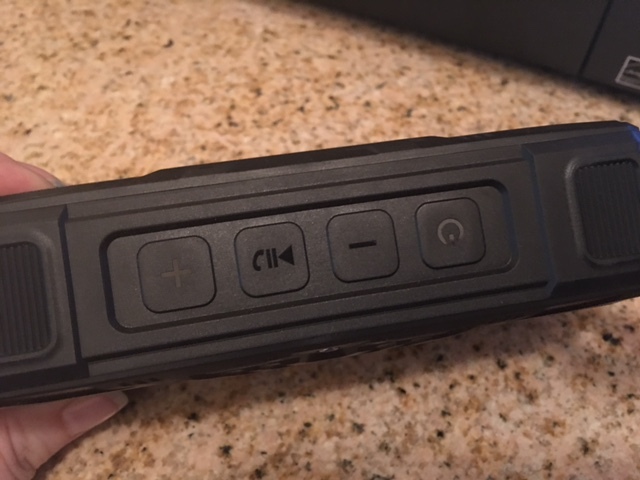 This allows a large group of people to listen to the music easily and allows you to put your cell phone away in a safe area away from water. The speaker is waterproof, dust and shock resistant. No more worries when wanting to take music to the beach or the pool! Pairing the speaker was super easy and the speaker is really simple to use. There is a booklet that comes along with it that explains how to pair the speaker to your cell phone and how to use the speaker. I tested this out with my cell phone in one end of my home and walked to the other side of my home and the speaker continued to play music without missing a beat. You can also take phone calls through the speaker with the built in mic. With a full charge, you can get up to 8 hours of playback time. The quality of the sound is fantastic. You can hear each beat of music and it's crystal clear. Even the bass sounds great! I can't wait to take this speaker along on the rest of our Summer adventures this year! ¿Cuál es tu tono de llamada? ¿Desea descargar tonos de llamada latinos en su teléfono? Descargar sonidos interesantes para su teléfono en Tonosdellamadagratis.net. Los mejores 5 tonos de llamada, sonido gratis para dispositivos móviles. Muchas opciones de tonos de llamada para usted en nuestra página de inicio tendrá muchas otras músicas atractivas.